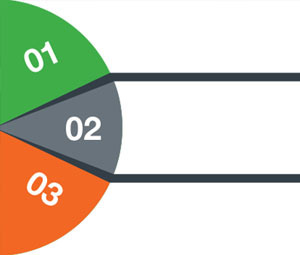 ATP Index can be used alone or incorporated into models that incorporate consumer financial variables. ATP Index can help marketers more efficiently assess customer portfolios, enhance targeting, better identify high-potential households for marketing efforts, tailor promotions, rank leads, and help inform account management. ATP Index is available for use in both offline and online applications. 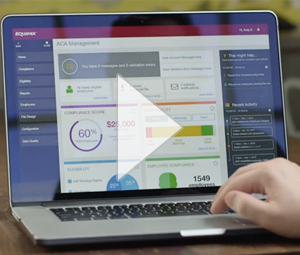 Does your team have the resources and expertise required to build and maintain a reliable ACA solution to meet clients' demands? Consider a reseller or referral partnership with Equifax, and get the trusted compliance technology and support you and your clients are after. Television ads cost big bucks. That’s why advertisers and their agencies should take advantage of new, more targeted TV ads to better reach their optimal audiences. Aggregated FICO® Scores offer marketers an aggregated, modeled form of FICO® Scores, thus enabling the use of an industry accepted credit risk assessment measure for non-FCRA marketing applications. Aggregated FICO® Scores are offered at the micro-neighborhood level, thus ensuring consumer privacy. Help facilitate compliance, minimize risk and reduce losses. 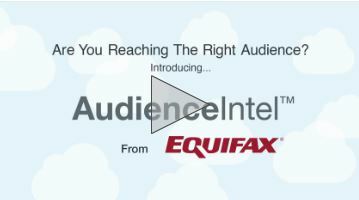 AudienceIntel from IXI Services, a division of Equifax can help you: Improve campaign and website performance measurement with consumer financial capacity insights. Make instant, data-driven budget allocation decisions with campaign performance insights. 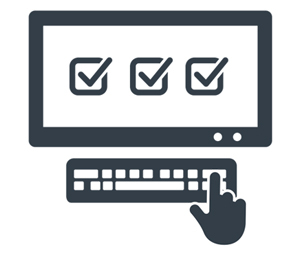 Verify your actual audience to better understand what type of audience is viewing and responding to your online ads and website. Real-time, interactive dashboard allows easy “on-the-fly” report visualization, customization and exports. The Business to Business Digital Targeting Segments enable marketers to improve targeting, increase response rates and reduce marketing costs while reaching desired target audiences online based on business attributes. 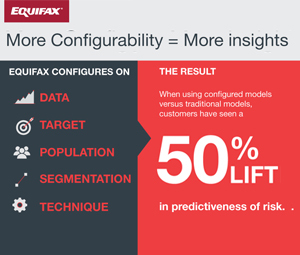 These segments leverage attributes from the Equifax Commercial Marketing Database. The data comprises over 42 million business site locations. Independent studies confirm that 10% of these commercial records are unique to Equifax and concentrated in micro- to small-sized business. Marketers need to connect their digital ad spend to their bottom line. Our proprietary Closed-Loop Attribution measurement solution allows marketers to measure – in a repeatable and turnkey manner – the impact that omni-channel campaigns have on company-specific metrics and revenue, whether the ‘conversion’ was done online or offline. If your company is seeking email lists for prospecting campaigns or would like to enhance customer records with email addresses, then Equifax can help. 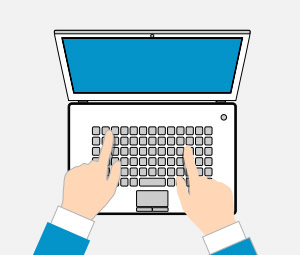 With our email services, companies can better engage with key audiences and deliver relevant and personalized messages to prospects and customers. Credit Card segments, built on a foundation of anonymous, aggregated credit information from Equifax, offer a means of marketing to consumer segments likely to have specific credit card propensities. Available to IXI Network members only. CreditStyles Pro offers a suite of tools based on aggregated credit data that enables marketers and analysts to differentiate households based on their likely credit availability, needs, and usage. 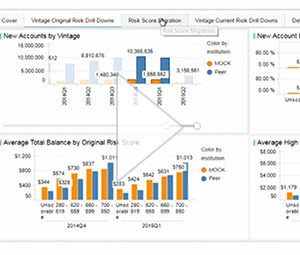 Our Credit Trends SmartView application (app), available through the Equifax Ignite™ Marketplace, can provide the insight and clarity you need by offering clear, concise data visualizations that are accessible anytime via your computer, tablet or smartphone. One process improvement drives multiple benefits. 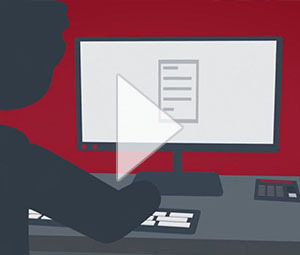 Whether your customer data is scattered among three or three dozen places, Equifax helps you gain control with visibility you’ve never had before. With onboarding, marketers can reach their offline target audiences in the digital world. 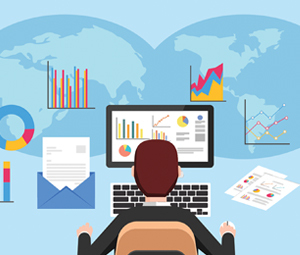 Onboarding enables marketers to convert their customer or prospect data in a secure environment to a digital format that can be used for online targeting. These segments are driven by our consumer segmentation system, which takes into account both projected interest and capacity to buy. The methodology differentiates consumers by industry-leading measures of household economics to derive unique buying capacity insights. By combining insights into estimated household income, spending and credit with demographics, buying behaviors and product preferences, these segments offer powerful tools for delivering the right message to the right audience. Retail segments are based on the Economic Cohorts consumer segmentation system, and are built by combining insights about estimated household income, spending and credit with demographics, buying behaviors and product preferences. Digital targeting solutions enable marketers to better deliver the right message to a desired target audience online based on consumers’ likely interests and economic profiles. DS$ Digital can target consumers based on their estimated household spending, after accounting for fixed expenses, organized in 9 differentiating ranges. 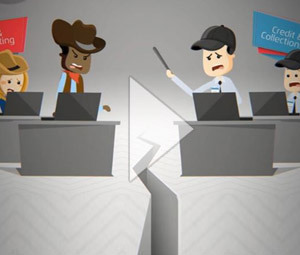 Digital targeting segments from Equifax are based on aggregated attributes at a geographic level and neither contain nor reveal any personally identifiable information. Discretionary Spending Dollars HD (DS$) is a continuous household-based dollar value estimate of discretionary spending uncapped up to $1.2M. For organization addressing internal responsible banking concerns, DS$ HD provides robust discretionary spending capacity estimates at the household level without using protected-class demographics. DS$ can be used alone or incorporated into models and can help identify consumers with the estimated spending levels to afford products and services. Discretionary Spending Index (DSI) from IXI Services is a continuous household-based score of 1 to 1000 that ranks households by likely spending capacity and spending behaviors. 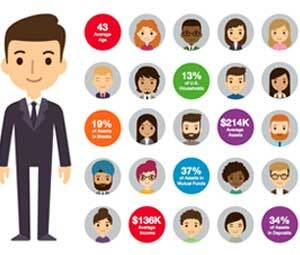 It enables marketers to rank customers and prospects by estimated spending power. Economic Cohorts incorporates the vital visibility into household economics that has been missing from consumer segmentation products until now. Economic Cohorts segments customer and prospects based on households’ economic positions (estimated total income, ability to spend, ability to pay, and likely credit capacity), in combination with all the key demographic, lifecycle/lifestage, behavioral, lifestyle, and geographic attributes you expect from a leading consumer segmentation system. Append emails to any Prescreen, house ITA or branding campaign lists. Leverage a triple-scrub process to ensure hygiene and guarantee 99% deliverability. 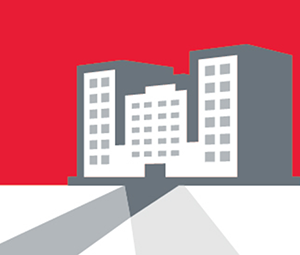 Equifax and Jack Henry have joined forces to give financial institutions of all sizes a comprehensive solution to assess new deposit account risk and cross-sell opportunity at the time of new account origination. 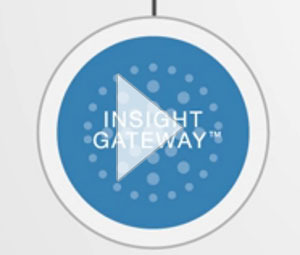 Our unique Decision360 approach is to integrate fragmented datasets and insights across channels, types, and platforms. 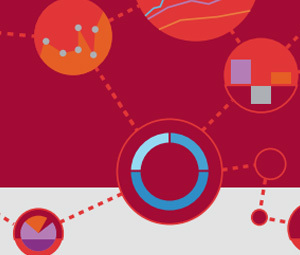 Equifax Ignite Direct combines data, technology and analytics in a research and development environment. 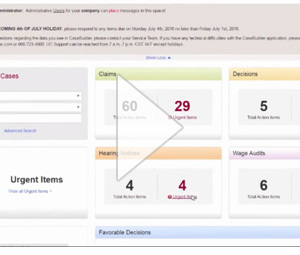 Equifax Ignite Marketplace, a collection of pre-built, configurable visualization applications, accelerates the sourcing and understanding of large amounts of industry-specific data to continuously optimize and inform intelligent business strategies. In a major redevelopment of the FICO® Score using sophisticated modelling techniques to mine trends in recent consumer data, FICO Score 9 gives lenders the most predictive FICO Score to date, and minimizes operational hurdles associated with adoption and compliance. Among many modifications to its predictive characteristics, FICO Score 9 improves lenders’ assessment of collection information as well as consumers with limited credit histories. Help protect your business from fraud with alerts that help you quickly spot fraudulent identity components that may indicate synthetic ID fraud or identity theft. 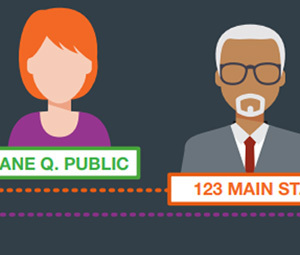 FraudIQ™ Identity Score delivers insights on identity linkages and suspicious patterns, helping determine that the customer is who they claim to be. Use these insights and customizable scoring to make critical decisions in real time when spotting potential fraud. Fraud is an increasing threat to businesses, creating revenue loss and increased costs year over year. FraudIQ™ Manager is an enterprise fraud management solution that helps identify potentially fraudulent activity before it impacts your business. Synthetic ID Alerts, delivered in batch or real time, are based on patent-pending algorithms that analyze attributes such as authorized user velocity and identity discrepancies to help determine if the identity presented could be synthetic. 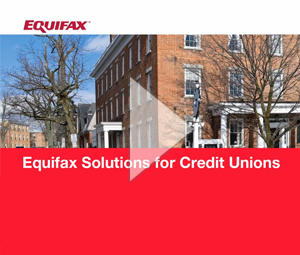 To help you address CFPB expectations while also managing the risk associated with a more inclusive account opening policy, Equifax offers a robust alternative data solution known as Insight Score for Retail Banking. Equifax Business Value Advisor™ is a robust online valuation tool, that can provide vital information to your prospects and customers about their small business, while also helping to identify high-potential sales opportunities within your client base. 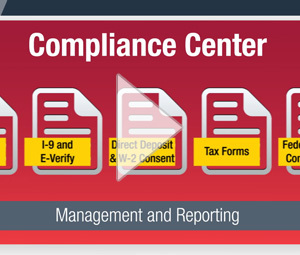 Transform paper I-9s to an electronic system for better control to help improve your I-9 compliance. Income360 Digital provides an estimate of consumers’ total household income and estimates average household income in 11 ranges up to $250,000+. Income360 Household Direct version is now available from IXI Services, a division of Equifax. Marketing campaigns can take advantage of household-level income estimates created without components that could create obstacles for internal compliance requirements. Income360 from IXI Services, a division of Equifax, is a continuous household-based dollar estimate of income uncapped up to $2.0 million based on both income from wages and income generated from investments. 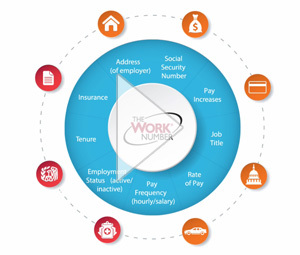 Income360 can be used alone or incorporated into models that include traditional income measures. It provides marketers and analysts with a more reliable estimate of income to improve performance for both direct marketing and online targeting campaigns. The innovative Equifax Insight Score for Personal Loans is a FCRA risk score optimized for unsecured personal loans used for new account origination, underwriting, and pre-screening. 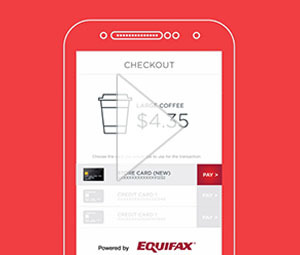 InstaTouch® ID uses Equifax and mobile carrier data to authenticate a consumer’s identity. This allows for pre-population of consumer data during online checkout or form completion--providing a simpler, frictionless experience. InstaTouch® Offers, a customized marketing and credit offers solution, enables additional ways to connect with the consumer and build loyalty through lines of credit and real time customizable marketing offers. 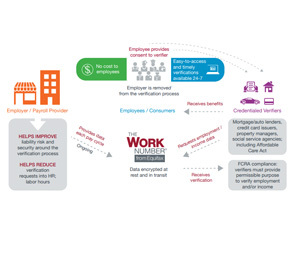 Utilizing the Equifax credit data and combining it with verified identity enables a business to customize a firm offer of credit or insurance to the consumer based on shopping behaviors and helping limit risk of decline. InstaTouch® Pay simplifies the tedious process of having to enter card information on devices and uses verified identity to present most current, reported credit card information as payment options. Don’t just meet consumer expectations of seamless, omni-channel experiences—exceed them. 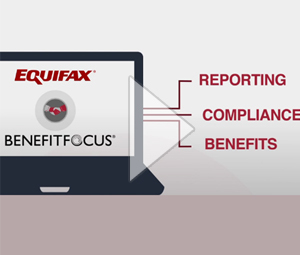 Enhance offers and reduce friction with the Instatouch® Suite from Equifax. Insurance Propensity Segments help marketers reach more qualified prospects based on specific likely insurance tendencies or characteristics. InterConnect is a flexible and secure cloud-based platform that converts complex inputs into actionable insights. It delivers streamlined access to diverse data sources, better attribute creation and deployment, easier rules management, stronger analytics and model integration to help you make more consistent decisions and get to market faster. Investment Propensity Digital Targeting Segments give firms the option of targeting households based on their likelihood to hold certain types of financial products. These segments are derived from a proprietary foundation of approximately $14 trillion in directly-measured, anonymous invested assets. The Direct version targets based on ZIP+4. Equifax partners with leading providers of consumer marketing lists to help you better reach your optimal prospects as well as to augment your company’s existing customer database. Our list services enable marketers to access key variables for their prospecting and customer marketing efforts. MarketVisionTM for Securities enables securities firms to determine their market size and share, find high growth areas, and identify consumer demand for any investment product and product category—all based on direct-measuredTM consumer financial assets. Exclusively for IXI Network members. MLA Covered Borrower Status returns an applicant’s status, giving you the valuable,needed insight to which credit terms you must offer in order to help you quickly proceed with origination and maintain a “safe harbor” as stated in the MLA Final Rule. 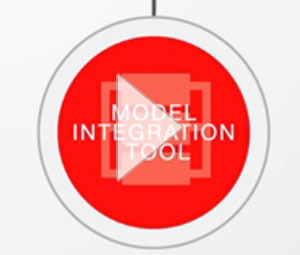 Model Integration Tool allows you to rapidly integrate, audit and deploy custom models and scorecards with simplicity—so you can productionalize your models faster. 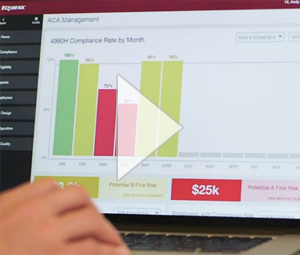 The Equifax Model Performance Monitoring application (app), available through the Equifax Ignite™ Marketplace, helps make it easier for you to manage ongoing regulatory requirements by providing data-driven illustrations around model performance that enable you to quickly visualize new and emerging model risk, so you can take faster action to update or revise those models. 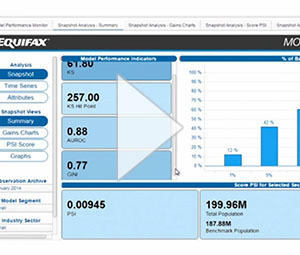 A prebuilt app within the Equifax Ignite™ Marketplace, the Model Performance Validation app enables you to immediately visualize and validate how your current risk models are performing against your portfolio, and then compare that to how alternative models might perform. PhoneReveal can help enhance your current customer contact strategies by providing phone number type and validity, and identifying if your customer number is a mobile, landline or Voice over IP (VoIP) phone number. Equifax offers a Prequalification of One solution that enables a consumer to easily determine their credit eligibility for offers, before a credit application is initiated. Help grow your DDA portfolio and increase marketing ROI with a unique suite of models that enable greater precision when identifying household prospects best suited for your products. Retail Banking Propensity Targeting Segments give banks the option of targeting households based on their propensities to consume certain types of retail banking products and services. These segments are derived from a proprietary foundation of approximately $14 trillion in direct-measured, anonymous invested assets. Available to IXI Network members only. Rules Editor helps improve efficiencies and decreases costs by empowering business users integrated technology to easily create, test, and edit rule policies, without the reliance on I.T. resources. The Small Business Segments leverage attributes from BusinessClass™, Equifax Commercial Solutions’ multi-sourced business marketing database, with over 18 million businesses, aggregated to the ZIP+4 level. Digital targeting segments from Equifax neither contain nor reveal any personally identifiable information. 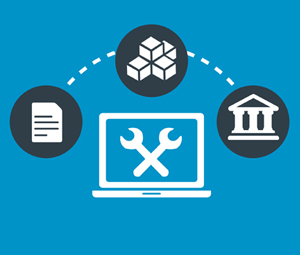 SmartReserve™, a robust data offering from Equifax, can help by providing financial institutions of all sizes with access to the historical data required to accurately forecast future losses and calculate the reserves required under the new CECL standard for future and current losses. 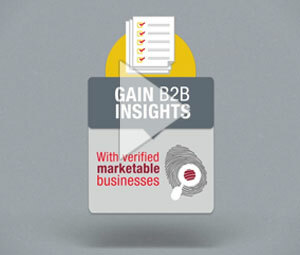 Expand member relationships and grow revenue with market-specific solutions. Our exclusive network of 95+ leading financial institutions directly measures about $19 trillion in anonymous U.S. consumer assets & investments, representing over 47% of all U.S. consumer invested assets. 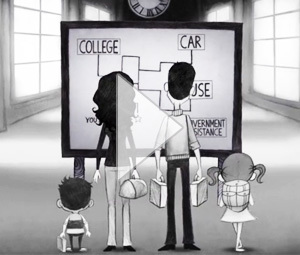 Our patented process collects & classifies anonymous consumer asset data, combines it with proprietary measures of income, discretionary spending, and credit, providing a more complete picture of households’ likely financial and economic positions. TotalView from Equifax is a streamlined, economical way to access a broader portfolio of Equifax data sources. 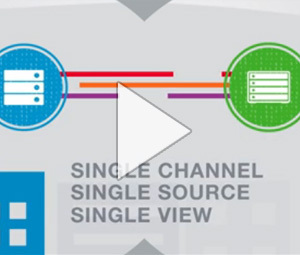 Consume more data from a single source. Reduce the time, investment and complexity that was once a barrier to gathering deeper intelligence. 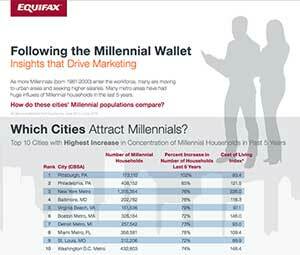 Equifax trended data solutions can help by giving you a deeper understanding of consumer financial behavior. Analyzing and trending financial data over a period of time can show you the trajectory of a consumer’s spending and repayment behavior by revealing patterns, or trends, in the data. Learn how VantageScore is setting a new standard for predictive performance and modeling innovation. Digital targeting solutions enable marketers to better deliver the right message to desired target audiences online based on consumers’ likely interests and economic profiles. WealthComplete – Assets Digital and Deposits Digital help IXI Network Member Firms target consumers online based on an estimate of consumers’ household-level total asset wealth. These segments are based on aggregated attributes at a geographic level and neither contain nor reveal any personally identifiable information. 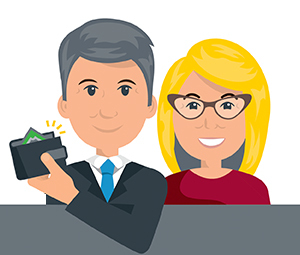 WealthComplete® enables financial services firms to find the hidden potential among their customers. It provides estimates of total assets at the household level, so you can better measure customer growth potential and share of wallet. WealthComplete also provides asset estimates for six product categories and sub-categories, so you can measure asset allocation and share of wallet by product category. 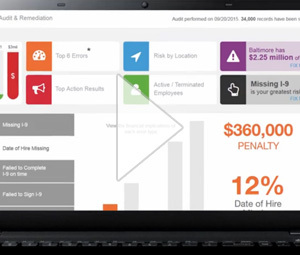 Helps identify fraudulent activity before it impacts your business. 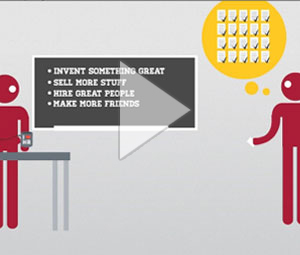 Move from strategy to profitable decisions in less time, with less complexity. Learn insights into IT leaders’ preferred ID verification/authentication methods and beliefs about security and convenience performance. 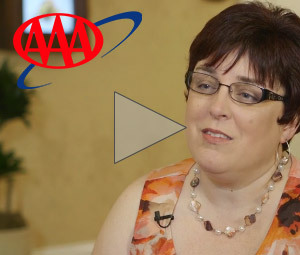 Get tips to help foster a smooth transition. Get new and updated analytic models to market faster for better performance results, without compromising integrity or accuracy. Synthetic ID fraud continues to rise. 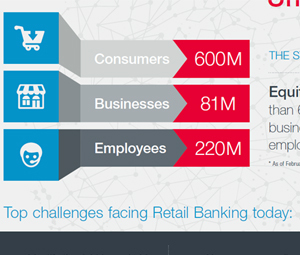 Banks must align with consumer needs to stave off disruption and achieve sustained growth. 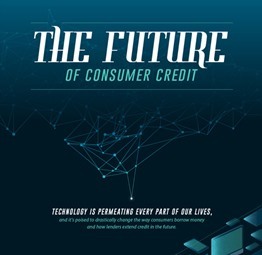 Technology is permeating every part of our lives, and it's poised to drastically change the way consumers borrow money and how lenders extend credit in the future. 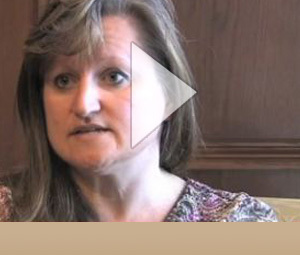 Small businesses are the golden opportunity for commercial lenders. They represent almost all businesses in the American economy. To grow and thrive, small businesses need access to capital and resources to help sustain their operations and increase revenue. A risk-based authentication process can unobtrusively verify the identity of the account holder to guard against fraud without interjecting additional steps. 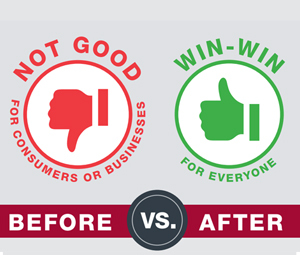 A data-driven comparison study that reveals how trended credit data can help businesses drive stronger, more profitable marketing and sales strategies by more accurately targeting high-spend consumers in the market. 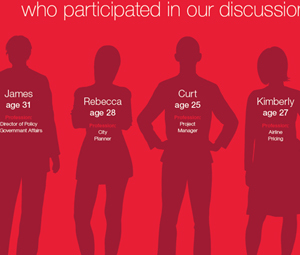 A deep look at the Millennial generation and how its financial profile differs from prior generations, how different groups of Millennials differ from one another, and some of the best tactics financial marketers should employ for reaching this generation. This white paper will explain how the Commercial Financial Network (CFN), an ever-expanding network of data powered by the revolutionary technology and analytics of Equifax IgniteTM, can solve challenges for lenders. Getting a “Big Data” view of anything is just a means to an end. 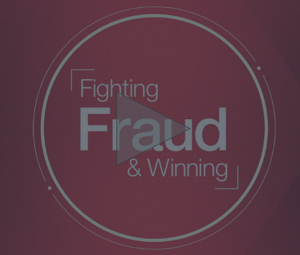 For fraud fighters, a major goal is reducing fraud losses. Data-driven research that illustrates the significance of applicant verification on auto loans and provides greater understanding of borrower behavior and auto loan performance. With its strong reputation for supporting customers and the community, ACE Loans wanted an optimized process that enabled them to remain customer-focused and make smarter, faster point-of-sale decisions. The lender found what it needs in Equifax BusinessConnect. Some brokerage customers hold relatively low balances which, coupled with limited upside potential, results in high service costs for minimal return for the firm. WealthComplete can help address this. An auto manufacturer and its captive ﬁnancing arm needed to provide insight to dealers on the target audience of a new model to ensure effective sales, particularly since the target audience was significantly different from the typical buyer of the brand. Banks need to be able to identify their ideal target audience for direct mail campaigns, yet they ousually only have a view of what their clients hold with them resulting in decreased efficiency and missed opportunities. Banks can utilize WealthComplete total assets estimates to identify, prioritize, and target high opportunity customers for cross-sell and up-sell campaigns. Today, many banks place customers into various service levels based on internal data or demographic data, which may provide an incomplete or inaccurate view of the customer and is particularly limited in describing customers’ growth potential and asset allocation. This limited view results in lost opportunities and over-servicing. 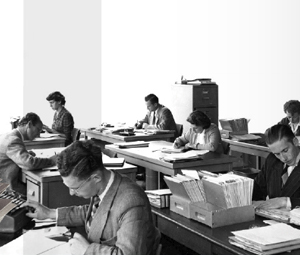 Prescreen list development was taking longer than desired due to manual processes that could not efficiently handle the sophisticated prospect selection criteria. This hampered the number of prescreen campaigns, and the quantity of prospects identified for firm offers of credit. 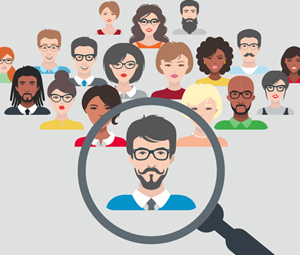 Segment Manager, an online segmentation management tool, was able to rapidly handle its complex prescreen list selection criteria. A leading bank traditionally relied on running campaigns on common financial sites and utilizing premium targeting options across portals. In an effort to increase initial deposit amounts and the long-term value of each conversion, the ﬁrm sought to gain more control over which online visitors were seeing its ads, improve the efficiency of its targeting buy, and increase the profitability of new customers. The firm turned to Financial Cohorts for segmentation and digital targeting segments. 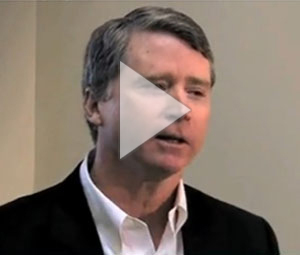 Lennox needed a more consistent and connected process for reviewing and approving customers and recovering debt. The company achieved this and more with the help of a world-class credit management solution from Equifax. 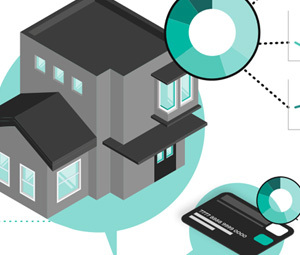 Mortgage servicers and investors need new insights into which mortgages are more likely to prepay in order to support customer retention programs and enhance modeling accuracy. Mortgage executives can utilize Income360 household-level total income estimate to better understand borrowers’ current financial capacity, and identify and segment loans that are more likely to prepay. Brokerage firms and their financial advisors need to be able to understand the hidden asset potential within their client base. However, they often only have a view of what their clients hold with them, resulting in decreased efficiency and missed opportunities. Brokerage firms can utilize WealthComplete to quantify growth opportunity and help financial advisors prioritize their efforts. Due to increased competition for deposits, many banks are focused on attracting new customers with the demographic and financial profiles most likely to develop into profitable, long-term relationships. A leading financial services firm leveraged our wealth-based Digital Targeting Segments to improve its online targeting by serving ads to consumers that were likely to have the desired financial characteristics for its products and services, while maintaining consumer privacy. South Carolina Federal Credit Union wanted to overcome the limits of traditional segmentation measures to better identify and market to a niche group of members that were not being adequately served within its target market and shift from a product-based to a needs-based approach for sales and marketing efforts. Our AML Compliance portfolio monitoring provides a streamlined, cost-effective process for monitoring client portfolios, while offering maximum data coverage. Gauging the success of current online campaigns by comparing them to the performance of past campaigns is not enough. Most campaigns have significant room to improve, whether measured via Cost per Acquisition (CPA), impressions, conversions, or other metrics. 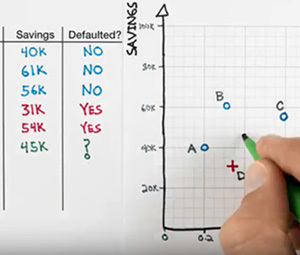 An Equifax customer decreased the CPA of its online ad campaign by using our digital financial and economic measures to better target qualified prospects. 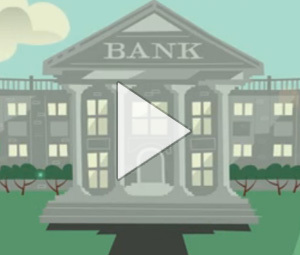 A leading U.S. bank needed to assess branch performance. They knew which branches had the highest Assets Under Management (AUM), but were unsure how those branches compared to competitive branches in the area. The bank also wanted to know which branches were underperforming relative to market opportunity. 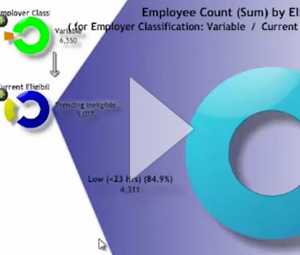 The firm used MarketMix to analyze branch performance. A national financial services company wanted to enhance their risk models to improve their ability to identify consumers who are more likely to default. 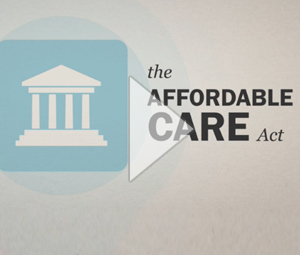 They needed a solution to help better identify consumers that pose a possible default risk. A credit card provider needed to better identify consumers who would be active on a revolving account in the next 12 months to improve targeting precision and appropriate marketing spend. 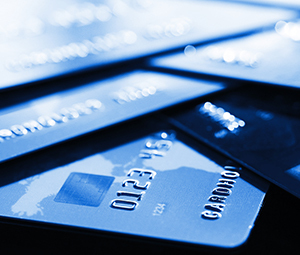 A national credit card provider wanted to increase acquisition profitability by improving the way they targeted active customers. They needed a solution to better target customers more likely to take positive action while delivering a better marketing ROI. A national credit card company wanted to increase revenue by targeting consumers who are more likely to transfer a balance greater than $500 over a 12-month timeframe. They needed a solution that could help precisely target the best candidates for balance transfer offer. A national lender wanted to hone the focus of their marketing spend and better identify consumers likely to open a first mortgage in the next 12 months. 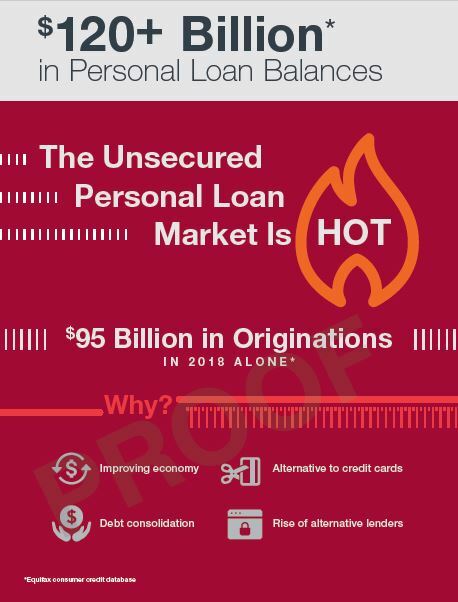 A national bank wanted to build more market share and also proactively target consumers more likely to be high spenders in the next 12 months. They needed a solution to more accurately predict propensity to spend while creating profitable returns on marketing investment. Tammy Stacy, Deputy Chief Compliance Officer for Equifax, provides insight into the trends observed in CFPB-regulated financial institutions, recommendations around FCRA compliance, and the differences between cross-selling and prescreening. Learn how InterConnect's Rules Editor defines, tests and optimizes business rules and lets users quickly modify or create new rules, develop test data sets for repeated use, and create a more bullet-proof business strategy. PRESENTER(S): Peter Wannemacher, Principal Analyst at Forrester Research Chris Atwood, SVP, Senior Marketing Officer, Equifax Inc. Speakers shared valuable insights about the Military Lending Act (MLA) background and the new requirements associated with the MLA Final Rule starting October 3, 2016. Join Equifax as Mykolas Rambus, General Manager of Data-driven Marketing at Equifax, and guest speaker, Shar VanBoskirk, Principal Analyst at Forrester for an eye-opening webinar, Nebulous Digital Marketing Investment is Dead, where you’ll hear why and how financial services brands are shifting their digital focus from quantity toward quality as they seek to connect with higher-potential, lower-risk audiences across their digital channels. The webinar will discuss overall trends in consumer credit, as well as brief deep dives into HELOC, mortgage, auto, card and general consumer finance. An additional special report will take a deeper dive into current vintages to assess payment performance and defaults for key tradelines. 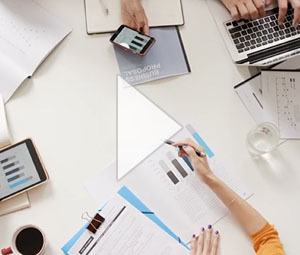 Whether you lead Credit Risk, Corporate Risk, Strategy & Planning, or Marketing, you will gain valuable economic and consumer credit insights to help drive strategic growth. 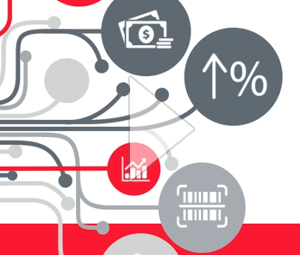 Join Equifax as deputy chief economist Gunnar Blix delivers insights that can help drive strategic growth at your organization. This webinar will highlight overall trends in consumer credit, as well as brief deep dives into HELOC, mortgage, auto, card and general consumer finance. 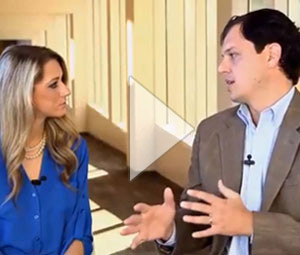 During this webinar, Amy Crews Cutts, Senior Vice President and Chief Economist at Equifax and guest Cristian deRitis, Senior Director from Moody’s Analytics discuss the latest trends impacting the U.S. economy and consumer credit. 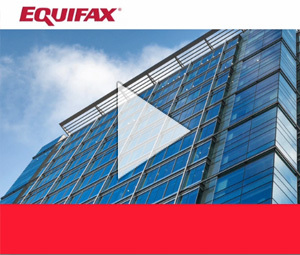 This webinar, held on May 3, 2018, co-hosted by Equifax and VantageScore, covered new innovations for scoring more consumers with the latest advancements such as trended data and machine learning techniques. Application fraud and account takeover are rapidly rising in the U.S. and many FIs financial institutions are scrambling to deploy mitigating controls. At the same time, the rising bar of customer expectations is pressuring FIs them to remove friction and increase functionality to create seamless digital experiences for their customers. 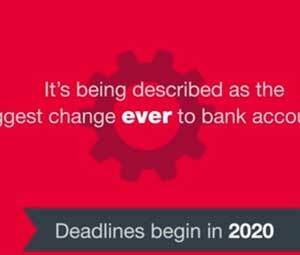 The biggest change EVER to bank accounting is coming. 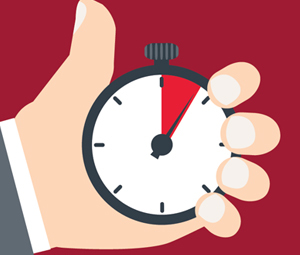 Now is the time to prepare for the new CECL standard. The Telephone Consumer Protection Act (TCPA) is prompting more litigation, and particularly class-action litigation, than ever before. Strict compliance with all relevant TCPA rules is critical to any business that contacts consumers through telephone technology. 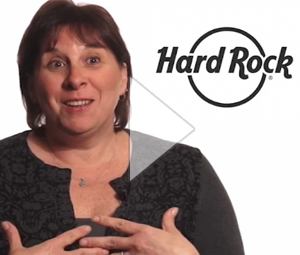 Review these tips to help you manage your consumer contact strategies. 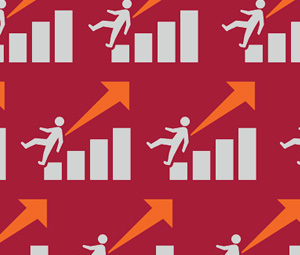 This eBook provides actionable insights and tips to help you gain confidence in your CECL plan and develop a winning strategy. Find out what Maxi Schmidt-Subramanian, Principal Analyst with Forrester Research, says about the impact of digital transformation on customer experience (CX). Think differently. Be different. 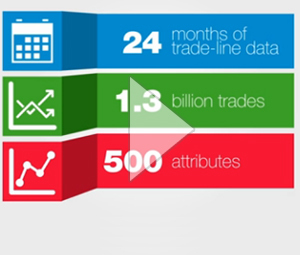 There is a paradigm shift happening: the market needs more tailored data solutions that don’t take months to deliver. 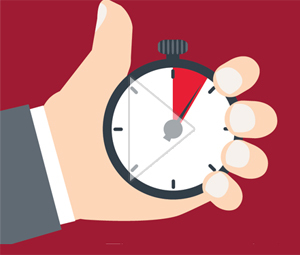 You need a solution that can meet market demand through a frictionless process that reduces building, testing and deployment from months to days. Different is the new paradigm. Read Part 1 of the eBook. 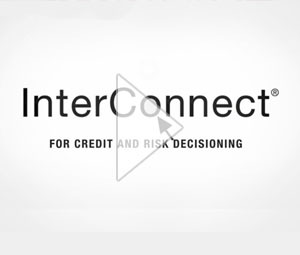 Equifax InterConnect is a secure, cloud-based decision management platform for defining and executing decision policies at the front line. It provides a streamlined technology platform for developing powerful decisioning strategies based on easy accessibility to robust data and transparency in consumer acquisition. The increasing demand for mobile access to banking transactions and other e-commerce activities will likely result in system weaknesses that fraudsters will try to exploit. 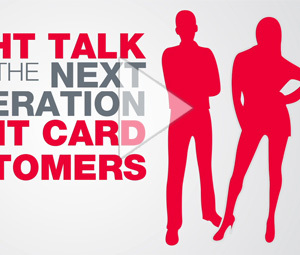 The eBook, Straight Talk from the Next Generation of Credit Card Customers, discusses what Millennials want, don’t want and the number one reason they’ll pick your card over others. The Pursuit of Profitability takes a look at the Great Recession, discusses the path of economic recovery, and presents changing financial behaviors that emerged post-recession. 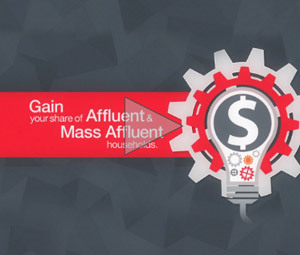 The eBook shares practices to help win Affluent and Mass Affluent households. Think differently. Be different. The future of data and analytics is here. Learn about the integration of trended data into VantageScore’s 4.0 model design and its impact on performance. The ability to effectively target offers and foster loyalty is contingent on successfully predicting consumer behavior and spend. Trended, historical, longitudinal or time-series data is an invaluable tool for gaining practical perspective into consumer behavior. This market study provides the results of the primary research showing VantageScore’s usage across the entire lifecycle of consumer lending except mortgage originations.